We make it easy for you. As part of our exclusive in home design service you'll have access to a expert window treatment specialist. 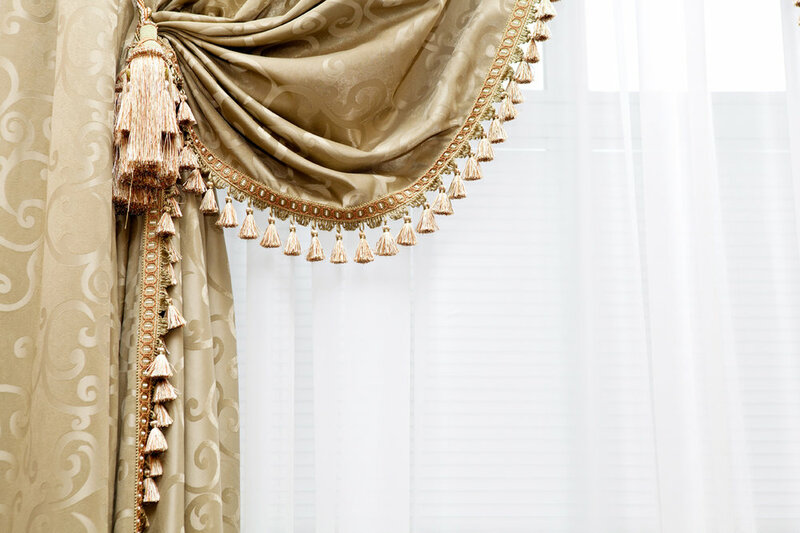 They are uniquely qualified to help you select, and we will measure and install the perfect custom window treatments for your home and lifestyle. No other window treatment looks as beautiful in your home as shutter. Go ahead; make a statement. Add a touch of class. With styles to fit any decor, shutters offer a look of elegance, while adding value to your home. Our certified shutter professional will provide an in-home consultation to help you make the best choice for your home. Your shutters will be custom built and installed by experts for an perfect fit. instantly create an outdoor room, with multi-fold shutters at ha fold back to enjoy your view or close tight when the weather sets in. Rain, high winds, or harsh sun are no match against the sleek & stylish shutters. Designed for commercial and multi-residental use. Window blinds are timeless. They provide both functionality and style. They’re one of the easiest and most cost-effective ways to breathe new life into your home. This product provides the look and feel of wrought iron without the weight. Constructed out of 100% reclaimed wood fiber and formaldehyde-free resin, it is about 1/10 of the weight of conventional wrought iron. Also is customized to your unique requirements with unlimited designs, styles, size and wide range of metal-like and other fishes. This opens up to limitless decorative possibilities for windows, doors, ceilings, walls, niches and architectural accents. Roller Shades are designed to control light without eliminating it. Like sunglasses for your windows, solar shade fabrics reduce the glare while allowing excellent view to the outside. Roman Shades are a luxurious window dressing that will transform any interior design scheme. These scrumptious range of fabrics are the very pinnacle of taste and elegance in a window furnishing. This is an innovative new window shade that is easy to use. The product slide the opaque and translucent woven stripe past each other. The shade can also be raised or lower to any height in the window with ease, in the same way the classic roller shade would. The front layer moves independently of the back allowing the stripes to glide between each other creating an open and closed effect, with limitless light control. We have an innovated new range of battery operated powered window shades/blinds that showcase numerous benefits. Operated by either a unique wand that hangs neatly next to the shades, or a remote control that can be used anywhere in the room. The most attractive and innovate window shade available n the market. It's unique because the window shade fits neatly into the window frame which moves together with the windows and doors when they are opened and closed, giving you the perfect combination of shade and ventilation. Add layers of volume, texture, and effortless design appeal to any room with our custom Drapery. Domestically hand-crafted by master tailors using color-coordinated thread and precision pattern matching, your view will always appear uniquely your own, whether your taste runs quietly neutral or bold and bright.